Autumn is a special time of year at Sandbridge Beach. Summer temperatures give way to cooler fall days and nights, crowds thin, and locals get excited about the prospect of putting on knitwear and, occasionally…socks. Fall is a time for residents to chill, and if you’re visiting Sandbridge Beach in the off-season, you just may find yourself in the flow of relaxed, time-honored fall activities. To seaside residents, oyster season is the unofficial beginning of holiday celebrations. This year’s oyster harvesting window is late, beginning on October 1 if the weather cooperates. As soon as it’s officially legal to gather oysters, the social season starts. 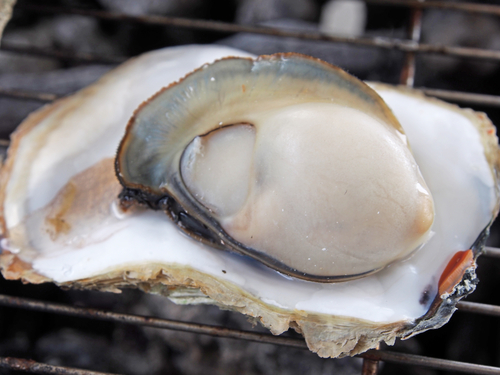 Oyster roasts range from small impromptu backyard gatherings to large public fundraisers. Simply Steamed on Sandpiper Road offers build-your-own to-go steam pots as well. Local restaurants usually have oyster roast nights throughout the fall where you can grab a bucket for around $10. Oysters are only a small part of what’s on the menu at an oyster roast. Hearty soups and stews, homemade bread, and plenty of desserts round out these traditional parties. If you’re invited to one, it’s traditional to bring a dish to share. Diffused sunlight in fall makes this time of year a photographer’s dream. Not only are you more likely to get a shot of a deserted beach or forest trail, but wildlife tends to be more active as well. One of the best scenic places for photographers is the beach at sunrise or sunset. You may spy passing dolphins near shore, but you’re sure to capture a peaceful tableau — especially the morning after a storm. Back Bay Wildlife Refuge is another photographer’s paradise. You’re likely to spot photogenic birds such as osprey, songbirds, gannets, and terns — especially in the mornings. Keep an eye out for the tundra swan, a beloved visitor who overwinters in the refuge. It’s worth the hike to venture into the pine forests with your camera. These “wet forests” are home to herds of deer, owls, unusual birds, and even bobcats. With cooler temperatures and less competition, fall is prime time to go fishing at Sandbridge Beach. Local fisherfolk will tell you that you don’t need a lot of expensive equipment to have fun and catch fish, especially if you’re just headed to the beach or the pier. For beach or pier fishing, you’ll need a long rod known as a “heaver.” These rods are 11 to 12 feet in length and can handle heavy bait and 8 ounces of lead weight (known here as “8 and bait”). In the fall, you can also use a smaller rod for casting lures and jigs. Wherever you plan to fish, be sure to get a fishing license and make note of size and catch regulations. Posted on September 6, 2017 June 22, 2017 Author Terry MooreCategories Sandbridge Vacation TipsTags Back Bay Brewing Co., Baja Restaurant, Blue Pete's, Fall Photography, False Cape State Park, Lago Mar Italian Restaurant, Margie & Ray's Crabhouse, McDonald's Holiday Lights, Oyster Roast, Pungo Pizza, Reaver Brewing Co., Sandbridge Fishing, Sandbridge Island Restaurant, Wasserhund Brewing Co.
Part of the charm of Sandbridge Beach is the quiet setting and neighborly feel. Unlike larger, more touristy locations, the Sandbridge area is inviting and easy to navigate. When you’re looking to satisfy your appetite, visitors understandably prefer to dine where the locals do. Whether you crave ocean-fresh seafood or authentic Mexican cuisine, Sandbridge Beach has world-class food to tantalize your taste buds. 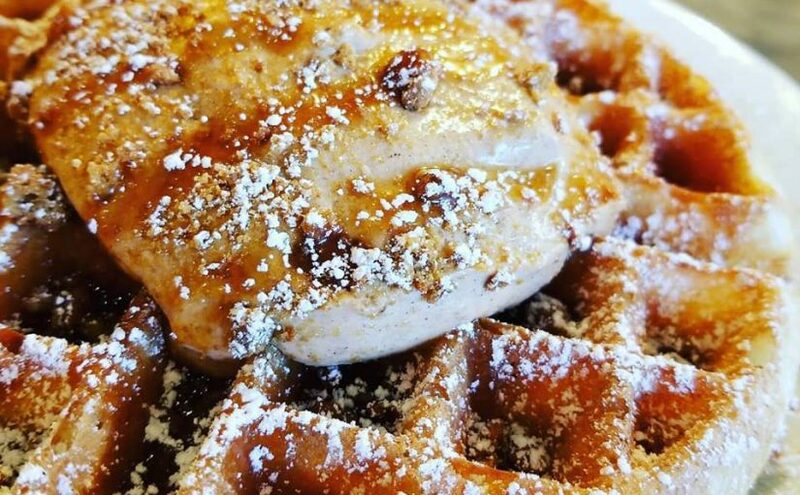 Here are 6 of the best restaurants in the Sandbridge Beach area for you to try during your next visit. Go ahead… eat like a local! Want your seafood Asian-style? Boardwok serves up well-priced Asian and American cuisine for lunch, dinner, or takeout. The menu has classic favorites such as teriyaki, tempura, and noodle dishes. But if you’re looking for a real treat, try one of the wok dishes which are the owner’s specialty. Have folks in your crew that aren’t into Asian? There is also a sprinkling of classic American entrees such as chef’s salad, deli sandwiches, and crispy chicken tenders. You’ll find Boardwok at 1993 Sandbridge Road. Don’t feel like going out? You can also order online for delivery in the Sandbridge area. Baja is one of Sandbridge Beach’s most beloved restaurants. This local hangout at the south end of Sandbridge Beach has a happy beach vibe, an impressive menu, and a lively list of activities and entertainment all through the summer. Are you a coffee connoisseur? Don’t miss out on this restaurant’s famous local blend, Baja Coffee. Heading out for some fishing? Want a quiet place to gently wakeup and welcome the new day? This unique blend of java is served Tuesday through Sunday mornings. Pick up a cup of joe and a pastry from 6:30 a.m. until noon. Dinner is served from 5 to 10 p.m. Tuesday through Sunday. 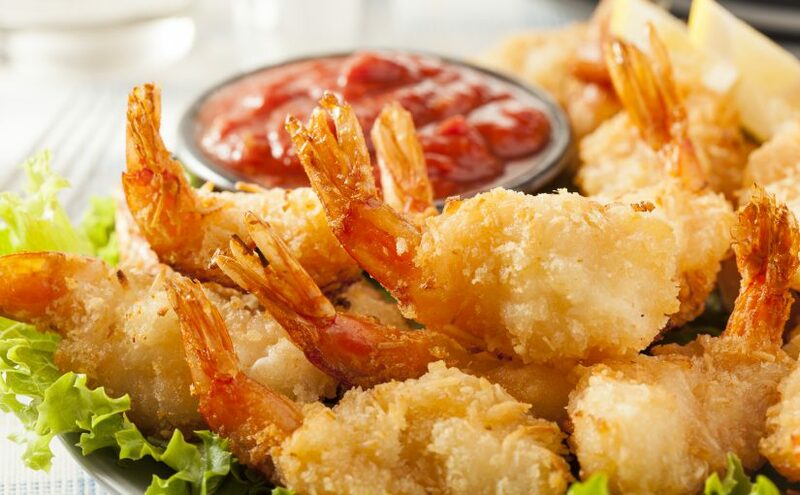 Seafood lovers can choose from steamed oysters, shrimp, crab, and local fish dishes. Baja also offers burgers, chicken, salads, soups, steaks, and pizza. Not only well-renowned for their food, Sandbridge Island Restaurant also has plenty of fun activities. Lay down your fork and pick up a mic for Karaoke on Tuesdays and Thursdays. Rather be outdoors? You’ll love the weekly Deck Party on Saturdays and Sundays. 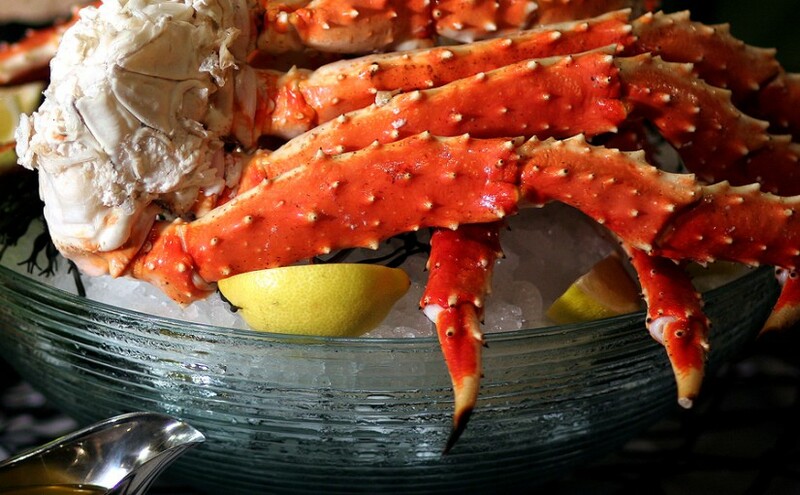 Their menu will tempt you with raw bar options such as shrimp, crab legs, oysters, clams, and more. Their Surf & Turf combos include so many items that you may need to order an appetizer while you decide. Choose from crab cakes, fried oysters, fish prepared any way you like it, and more, and then add a steak or barbecued ribs to round out the meal. Sandbridge Island also has traditional sandwiches and burgers, a great kids’ menu, and a creative pizza menu. Not all restaurants are found in buildings. When you want a quick (but completely awesome) meal, get your lunch or dinner on wheels. Bandidos Taco Stand is a popular food truck that serves delicious tacos and burritos made from fresh ingredients. Open from 11 a.m. to 5 p.m. every day (except Saturday, when they open at 7 a.m.), visitors and locals alike are proud to say they eat here once a day, every day. The service is friendly, the fish tacos are unlike anything you’ve ever had before, and the prices are unbeatable. Tacos range from $3 to $5, and drinks are just $1. Look for their flag on your way to Little Island Beach, then pull up at one of the picnic tables under the trees to eat. Crab boils are one of heaven’s simple pleasures especially when you’re at the beach. When you do them yourself, however, they can be rather messy. The local’s secret? Get it to go! Simply Steamed is a Seafood takeout market with daily lunch specials, fresh seafood, soups, salads, and more. However, this market is most famous for their steam pots — disposable pots packed with your choice of seafood, veggies, and a special spice blend. Just pick up your pot, take it home, and pop it on the stove or grill. If you’ve got a crowd to feed, try their “Party in a Can” for $7 per person. No review of Sandbridge Beach restaurants would be complete without Margie & Ray’s. Who would have thought that – what was once a country store and tackle shop – is now a proper restaurant with a cult following that reaches far and wide. Margie & Ray’s is one of the only places where you can get a full breakfast in Sandbridge Beach. Open all day, they offer a hearty lunch menu of seafood dishes, sandwiches, and salads, as well as a whopping dinner menu that includes their famous buffet-style seafood platters. Note: you’d better come hungry! Find the restaurant at 1240 Sandbridge Road between Ashville Bridge Creek and Hell Point Creek, next to Indian Cove Resort. Whether you’re on the way to the beach or looking for a relaxing dinner, there’s no shortage of Sandbridge Beach restaurants serving up delicious food, grand views, and friendly service. One of the best parts of vacationing in Sandbridge Beach is enjoying fresh seafood and unique restaurants. If you want to eat like a local, here are 10 restaurants that Sandbridge Beach residents call their faves. This relaxing, family-friendly restaurant is right on the beach, and locals take advantage of the proximity to pop in for a bite in between sunbathing and skimboarding. Enjoy pizza, seafood, sandwiches, and cocktails with a great view of the ocean. Favorites are the half-pound steamed shrimp appetizers, creamy She Crab soup, and award-winning pizza. Sandbridge Island Restaurant also has a budget-friendly happy hour, a menu just for kids, and daily raw bar specials. Their giant TV screens make it a great place to watch Sunday football, but you can also have your meal delivered or get it to go. Located on Sandpiper Road, this quaint restaurant is a long-time local favorite for brunch, surf ‘n’ turf, and happy hour. Baja serves dinner Wednesday through Saturday and brunch Sundays from 10 a.m. until 2 p.m. Visit in the summer and you’ll enjoy live music with dinner, or Karaoke on Thursdays. Be sure to stop by on Tuesdays for their weekly dodge ball tournaments — competition is friendly but fierce! Baja’s peaceful patio is also great place to just unwind and enjoy the sunshine. Locals say there are only two places to eat: Home or Margie & Ray’s. This rustic local favorite is located on Sandbridge Road and serves breakfast, lunch, and dinner. Breakfast platters are inexpensive and hearty, so they’re a perfect start to the day. Lunch is seafood, seafood, and more seafood, prepared any way you like it — or a choice of sandwiches including burgers. If you’re headed for dinner at Margie & Ray’s — come hungry. It hardly seems possible, but the seafood choices only expand on the dinner menu and are accompanied with traditional Southern sides. Every vacation town has a restaurant that locals like to keep to themselves. In Sandbridge Beach, it’s Blue Pete’s. Owned by twin brothers who grew up in the area, this special restaurant is nestled next to a creek in a five-acre wood near the Back Bay National Wildlife Sanctuary. Owners Nicholas and Aristotle Cleanthes not only offer fresh takes on seafood, they also put a great deal of time and effort into the experience of dining at Blue Pete’s. To the brothers, all visitors are locals, and they love nothing more than to see vacationers return year after year. Also on Sandbridge Road, Lago Mar Pizza is where locals converge for their Italian food fix. Lago Mar offers unique pizzas, subs, gyros, wraps, Stromboli, calzones, pasta, and seafood. Their tidy, charming patio is a great place to spend a long lunch or dinner, but they also offer delivery and takeout. Note that on Thursdays they offer Family Night specials of a large pizza and salad for $20 — plus free ice cream for the kids. If you’re up for even more Italian food, La Bella Italia has it. This trattoria, café, bakery, and deli has an upscale menu and a refined ambiance that is perfect for a special dinner out. Vegans love their expansive vegan menu, and foodies appreciate their well-curated wine list. This is a true Italian restaurant with specials such as stuffed eggplant, prosciutto with Parmesan and peppers and fresh bruschetta. The best way to enjoy La Bella Italia is relaxing at one of their charming tables, but if you have a beachfront rental you might want to get your dinner to go and enjoy your sauce with the sunset.